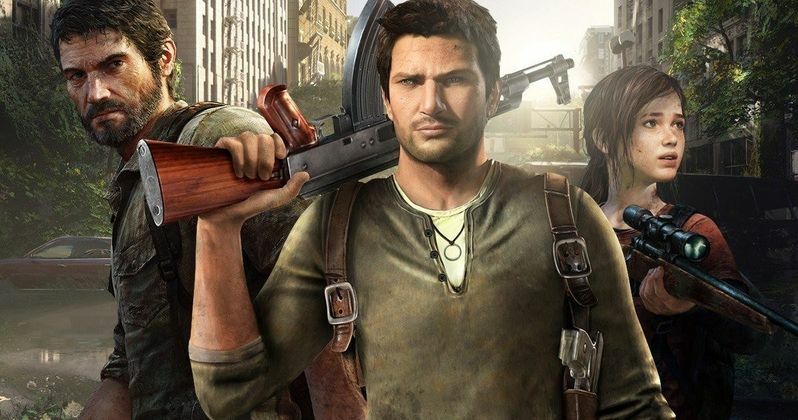 Those who have been looking forward to movie adaptations of Uncharted and The Last of Us, both of which come from video game studio Naughty Dog, have some good and bad news today. The good news mostly comes on the Uncharted front, because that movie is still said to be moving slowly but surely toward development. As for The Last of Us movie? That's a different story entirely. Naughty Dog creative director Neil Druckmann recently provided updates on both of these movie adaptations at DICE Summit 2018. Starting with the good news, he reveals that the long-gestating adaptation of Uncharted, which many feel has the potential to be an action/adventure in the spirit of Indiana Jones, is still moving forward. The version featuring a young Nathan Drake, who will be played by Tom Holland (Spider-Man: Homecoming) and possibly directed by Shawn Levy (Stranger Things), is still in development. Here's what Druckmann had to say about it. "The Uncharted movie, yeah, we've had some conversations with Shawn Levy. And he's really passionate, gets it, and I think he understands where we're at. We've kind of evolved our feelings towards these kind of adaptations over the years. We used to just be excited, 'Oh, my god, movies are looking at us. There could be an Uncharted movie on the screen.' And then as more time passes on, we're not excited about a direct adaptation of the story we told, because we feel like we've already told that story very well, cinematically, so I don't know what else you could bring to it. ... [Shawn Levy] wanting to tell a different story than the main four adventures, with potentially a young Nathan Drake, that fills in the gaps, I think is a lot more interesting than trying to retell Uncharted 1, 2, 3, and 4." While it doesn't sound like the Uncharted movie, which has been in development for years at this point, is terribly close to happening, the version that is currently on the table is still on the table. Neil Druckmann's reasoning is understandable. Why tell old stories again in a new medium? Why not tell a new story? That's why this version of Uncharted seems to make sense. However, that very same reason is likely why we'll never see the adaptation of The Last of Us that's been kicking around for years. "And even I worked on the script for The Last of Us film, which was a direct adaptation. And now, having some separation from it, I look back and [am] like, 'I don't want that movie to be made.'" It's possible that a version of The Last of Us could make it to the big screen, but it won't be a direct adaptation, based on this new information. Basically, the project as we know it has pretty much been scrapped it sounds like. Uncharted still has an uphill battle and is, by all indications, still stuck in development hell, but not off the table. Maybe if Tomb Raider or Rampage actually managed to deliver a good video game movie this year it will help get Uncharted truly moving. This news was first reported by Screen Rant.